This entry was posted in Uncategorized, rss1, news on March 7, 2017 by incubator. And usually support is good. But every once in a while we run into situations where a vendor’s tech support staff is less than helpful – or worse, seems to have an attitude problem. The tech support rep finally made one suggestion – one that my assistant knew was something we considered a last-ditch effort. So she called me to explain what had just happened and ask how to proceed. She then called back the vendor, got the same contact support person, who in the meantime had tried solving the problem with some more acceptable options. In thinking back over what happened (and having dealt with this alternate tech support person myself at times), I can’t help thinking that what sounded like a rude or arrogant initial response to my assistant, was really a lack of training. The tech support person did all the things we would expect the vendor to do, but angered the customer because he didn’t know how to communicate effectively. How can you be sure your tech support isn’t irritating your customers? 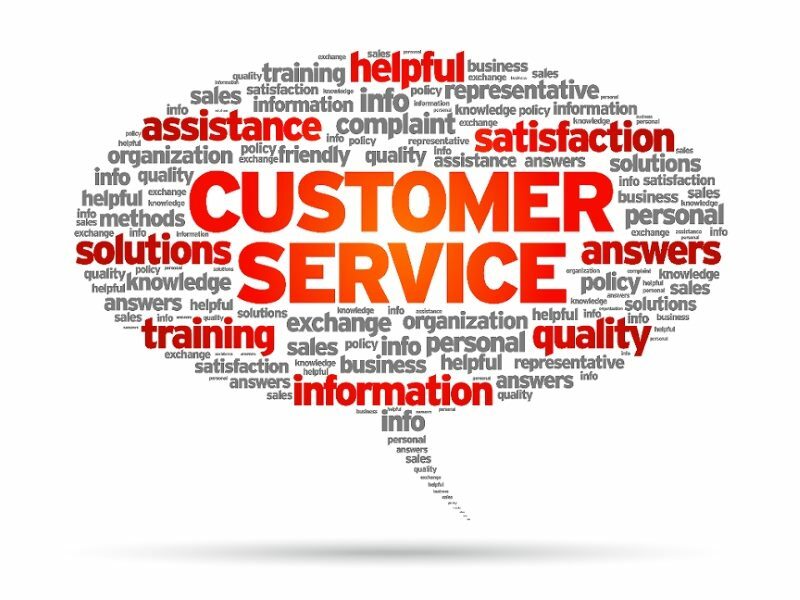 Begin by listening as your staff answers phones and works with customers. Are they answering politely? Do they use full sentences, identify themselves and your organization? Are they actually listening to the customer, or just giving them pat answers that may or may not solve their problem. Consider providing customer support training as well –either sending them to live training seminars, or, if that’s not practical, providing training on disk, or through manuals. This entry was posted in Uncategorized, rss1, news on March 6, 2017 by incubator. With people becoming more health-conscious, the market for vitamins and dietary supplements has increased significantly. Customers are given an exciting array of choices, with many different brands competing with each other and offering better products at fairer rates. People use vitamins and supplements to lead healthy lives, with greater energy and vitality, improved memory and strength, and improved nutritional quality. Nearly everyone makes use of vitamins and supplements these days. Manufacturers of vitamins and supplements face stiff competition because there are so many firms offering various combinations of products for the target customers. It is imperative that your advertisements be unique and informative, inducing customers to buy and use your vitamins and supplements. The advertisements have to be consistent and convey the message intended to the customers to choose your brand over others. You can do this by listing the benefits of using your brand and may attract customers by offering freebies that are useful. Infomercials on TV, which if implemented correctly, can have a great ROI. It helps people become familiar with your brand and will help them choose your brand the next time they buy vitamin or supplements. Having advertisements appear in health-oriented magazines as well as other magazines. They have to be frequent, as repetition is the essential ingredient to advertising success. You can have brochures of your vitamins and supplements be made available in the local gyms and beauty parlors and spas, clinics, and supermarkets, etc. Forming partnerships with pharmacies is another marketing idea. Having signboards and fliers advertising your products and brand name can influence many customers. Using medical representatives to entice practicing doctors to prescribe your brand of vitamins to patients. Using celebrities to endorse the vitamins and supplements. This has a very high ROI, as many fans will follow through. Organizing health camps and awareness camps and offering the services of doctors for free can be very effective ways of marketing your products. Using trade shows to promote your brand name and products. Giving out educational leaflets in schools and colleges can influence some customers to try your products. Using MLM to sell your products can be successful, too. Develop catch phrases that will stay in the minds of customers and bring uniqueness to your products. Opting to have referral programs with affiliate services. This may be very advantageous. You may have a website to promote your products, too. These are a few marketing ideas for vitamins and supplements. There are firms that offer services as well as products to help run a successful business. Is employee turnover a prob lem in your company? If so, it’s easy to blame the problem on any number of things – salary levels, benefits (or lack of them), size of the company, or your industry. 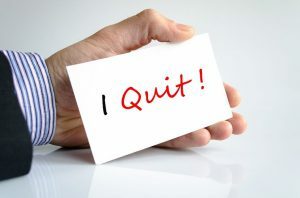 These are just some of the circumstances that are often blamed for making employees quit and look to greener pastures. But often none of those external factors come into play. Instead, the things that cause good employees to quit are often internal problems. And in many cases the small business owner’s management “style” is at the root of the problem. “Previous job: I was an administrative assistant for way too may departments (5), each of which argued over my time. I had one boss who was in charge of the departments. She had difficulty saying no, so instead of divide and conquer, the work ended on my desk. I was constantly busy with few breaks for three years until my health went and I had to quit. It took me two months to recover enough to seek employment again. Needless to say, after I left, there was a major reorganization, but too late for me. “This time, I got talked into going to work for a small business with few employees. I worked there as a temp and they begged me to stay. As people, I love them. They promised all these wonderful things about an office, a desk, and how I was going to do this and that. Well, it’s been over a year and I do have a computer which sits on a table. I had to beg them to get me a decent chair. “I can’t do anything without my boss looking over my shoulder. Answer the phone, take messages, and I’ve been there over a year and I know very little more than I did when I started because as soon as I get the hang of it, the rules change. Everything can only be done one way and that is her way. The problem is I can’t figure out what her way is, because as soon as I figure it out and start doing something on my own, she changes it. Initiative is frowned on. Everything must be done in tiny step. Efficiency is not a byword. Anticipating needs is impossible. “We are always behind on our order processing and people complain about it. If she asks me to write something, I’ll write it and then she will rewrite it. It’s not just me, she does this to everyone. I understand why they have difficulty keeping anyone employed now. Since the business moved here two years ago, they’ve had three secretaries and one shipping manager who all quit without notice for the reasons I just gave. I spend my time on the phone taking complaint calls because all aspects of the business must be authorized by the boss. The boss spends so much time watching everyone else, we stay constantly behind. She takes contracts and walks around with them, leaving them lie around anywhere, then asks everyone if we’ve seen the contracts. If I get up to find information, she wants to know exactly what I’m doing. The only reason I think they are still in business is because they’ve been around for awhile and have a unique product (she’s only been around the last few years). “Personally, I can’t take it anymore. Example: I was fixing the printer by cleaning it as it was printing badly. I’ve done this quite a few times with various printers and most of the time, I’ve met with success. The boss came in and took over without letting me finish and it gave an error message. She says hey it might not have been printing right but at least it was printing before. I said let me finish this. Then she yelled that she had stuff she had to do and needed the time to do it as if all her time must be spent babysitting me, therefore I was to sit there and do nothing so she wouldn’t have to attend to me. You’ll never be able to completely avoid risk, either in your personal or professional life, but you can mitigate it significantly by having a solid game plan in place. You need a proven system that will help you determine which ideas are worth pursuing so that you don’t become a statistic of America, Inc.
You want to be as certain as possible that your business will succeed before you launch. In other words, you need to “fail proof” it. Luckily for you, I’ve developed a process to get you as close to 100 percent sure as humanly possible. 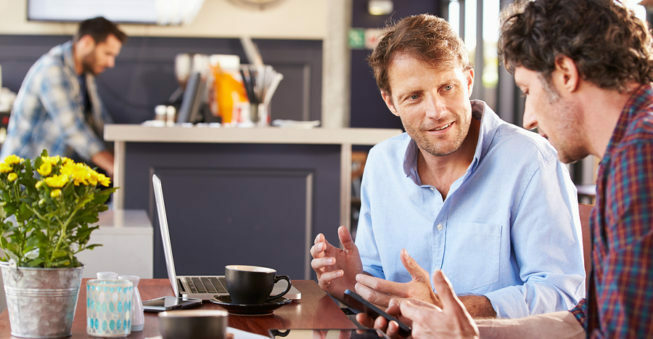 At it’s core, Three Question Validation involves answering three pivotal questions to determine if your business idea is viable and likely to succeed. It’s a compact method to test if your idea holds water before you waste the time, energy and money on something that isn’t going to work. If you can say “yes” to all three of them, you have an idea that’s likely to do very well. If you can’t say “yes” to all of them, it’s time to go back to the drawing board. Contrary to popular belief, you want competitors in your space. If you find a market that’s 100 percent unoccupied you’re either the first one there (risky in that nothing has been tested) or you didn’t get the memo (other people have tried unsuccessfully and abandoned the market). Being the first isn’t horrible, but there’s less of a roadmap to follow. Being last doesn’t mean that you can’t find a way to make your idea work in the marketplace...but that will take considerably more work. Remember, the purpose of this freelance business doesn’t have to be finding the #1 thing you want to do for the rest of your life. It’s a bridge to freedom. It’s a tool to earn some more money as you get the rest of your life in order. Over time, you may find other things you like more. That’s totally OK.
For now, let’s try to pick something that has a high probability of succeeding so that you can build your confidence, business savvy and skill set. Pick something where there appear to be many other people doing what you’d like to do. If you can answer “yes” to this question, it’s time to move on to the next question. A bit of a no-brainer, but very important to consider: even if there are people doing what you want to do, you need to make sure they have enough clients and are making the type of money you’d like to make. This step will ensure that it’s worth your time to invest in your idea. There are a bunch of different ways to tell how well your competition is doing. You could look on their website for testimonials and client success stories. Browse through their portfolio if they have one. I love looking at unbiased third party sites like Yelp to see what their rating is, and what customers have to say. You don’t need to get exact revenue numbers. The point here is just to get a general sense for how they’re doing. If other people are successfully getting clients and customers, so can you. This is the question that ties everything together. You’ve found your competition. They appear to have some business. Now what? It’s time to make your stand by standing out. For customers to buy your idea instead of, or in addition to, another company’s, you must show why your product or service is different and/or better. If you can show why you’re unique, you’ll attract just the right customers who are perfect for your business. The type of clients who will buy from you time and again, and who will continually refer you to all their friends. This point of difference between you and your competition is called a USP, short for “Unique Sales Proposition.” Here are five examples of how to stand out with a Unique Sales Position: better/lower price; convenience; better quality/aesthetic; better variety; better customer service or guarantee. There's no "right" USP, and you don't only have to stick to one. Test your market. These are some ideas to get you started immediately.